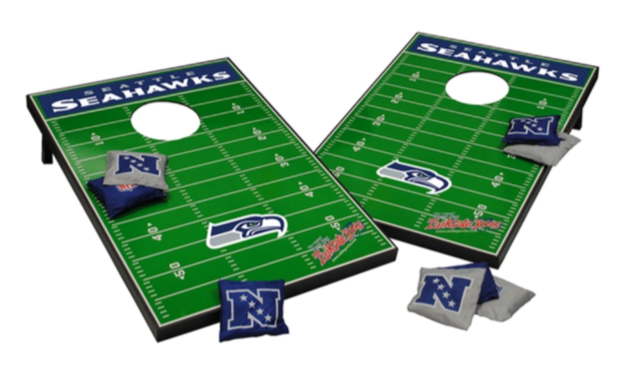 Whether you call it Corn Hole, Tailgate Toss, Corn Toss, or Bean Bag Toss is a great activity add-on for any party or event! Players will take turns pitching bean bags at a raised platform to try and throw their bean bag in the hole at the far end. A bean bag in the hole scores 3 points and if it lands on the platform, it is worth 1 point. Play continues until a player (or a team) reaches the score of 21. The Bean Bag Game is a great activity for birthday parties, company picnics, corporate events, school carnivals, religious festivals, church carnivals, fall festivals, graduation parties, summer camps, or family cookouts!